This year in Prague we ask – is it time to reconsider what a better city looks like? The tide has clearly lifted all boats over the last few decades of urban development, yet gentrification and rising costs of living pose considerable challenges for city leaders, investors, planners and architects to design a city that works for everyone. As always, reSITE will connect innovators across sectors to find solutions. Prague, centrally located in Europe and the world, offers a unique architectural setting to make new connections, inspire more positive impacts, and find more solutions to improve our lives in cities. Through panel discussions, keynotes, field trips, interactive workshops and tours, again – the event seeks to be a one-of-a-kind experience combining the best ideas in the world from the bottom to the top. Shape your city, share your city – first international screening of the Shared Cities film. Elevation Dezeen short film premiere. How do we inhabit space, communicate space or communicate through space? Learn how to face extreme climatic and other challenges of today. Let’s create a world where people work to make a life, not just a living. Take part in the production of the city! The workshop will show examples of co-ops, how to start them, the rules of commitment and sharing, the moments of conflict and enjoyment and the reasons to soon be part of it. Our game will map institutions and venues in the streets of Prague-Holesovice. We will find surprising connections between local and global players and make institutional bureaucracy great again! Wander around, reconnect and reinterpret your surroundings! We will test playful and experimental ideas that bring a new perspective to space sensation. 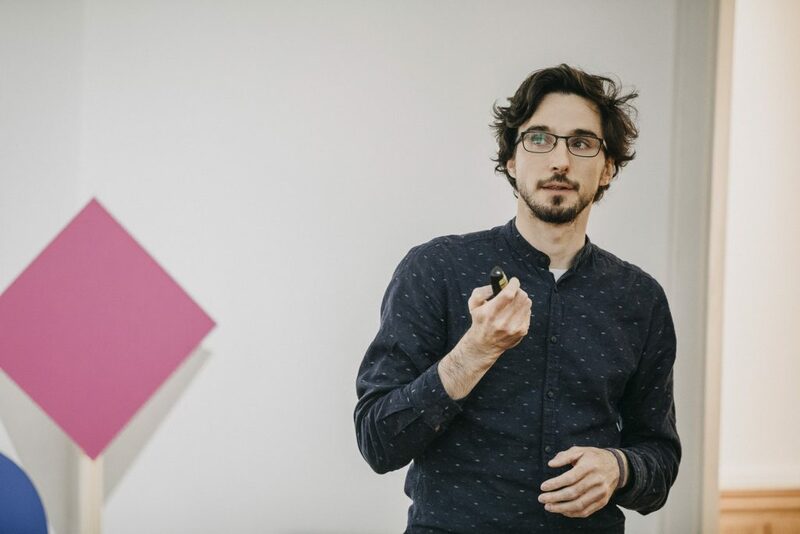 Get to know the projects of River City Prague, Main Point Karlin, Corso Karlin, Kotelna and the Cornlofts Saldova with Petr Kucera – an architect, city planner and Prague connoisseur. Meeting point: Forum Karlín – registration stand. Play with the idea borders – physical boundaries, boundaries of ordinary behaviour in public space, visible and invisible boundaries, external and internal boundaries. What are current sharing practices? Do we still want to live together and is it even possible? Join our discussion and the launch of the second issue of the acclaimed Magazyn Miasta / Cities Magazine on sharing in post-communist cities. Register here or visit the conference info stand at Forum Karlin or download the reSITE 2018 app.